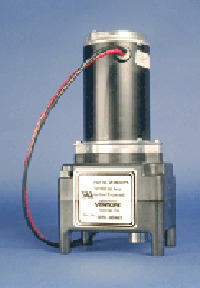 5th Wheel Landing Gear Motor | M-9000 Motor Gearbox - Venture Mfg. Co.
Venture Mfg. 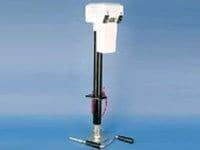 Co’s position is unrivaled in the market when it comes to mechanical motion technology. Do you know how Venture has established such a strong niche in the industry? The main reason behind Venture’s unparalleled success in the market is due to its uncompromising commitment to quality. Whatever product we make, we guarantee reliable performance in any challenging application, thanks to our highly experienced team of engineers and technicians who work together to satisfy our customer’s expectations to the fullest. Venture’s M-9000 Motor Gearbox is the result of excellent designing and precision engineering using supreme quality raw materials. All stages of the designing and manufacturing processes are closely monitored and inspected by our quality assessment team in order to ensure supreme quality and standard of the final assembly. The M-9000 Motor Gearbox is available with or without a switch and wire harness. 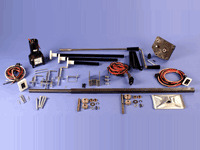 It is used to power most of the landing gear systems and can easily be added if a motor did not come as OEM equipment. For heavy coaches or to add the ability level, dual motors can be added to virtually any system. What makes Venture’s M-9000 Motor Gearbox unique and prominent in the market place? The below listed points tell you the answer. Would you like to customize M-9000 Motor Gearbox to perfectly fit your applications? We can do that for you as well. Spend some time with us to share your specifications and other requirement details. We assure on time delivery of a new and specially made unit by incorporating unique and specific features and options.